Are you looking for effective and powerful core exercises to strengthen, stabilize and help improve your posture? Then look no further! We have 5 killer core moves using the Surge® or the smaller Surge® 3.0, that are sure to make your muscles burn in all the right ways. The Surge® uses a technology called Hydro-Inertia® which is the utilization of water to create an unstable resistance and moving mass within a mass. Because of Hydro-Inertia®, each exercise requires control, balance, strength and overall muscle engagement, resulting in one heck of a challenging workout! Start standing with the feet about hip width apart, holding the Surge® in front of your hips. Rotate and pivot, pushing through the bottom hand and pulling with the top hand, as you sweep the Surge® to the side. Brace your abs to add power to the motion and stabilization to the water crash at the end of each sweep. Repeat all the reps on one side or alternate sides with each rep.
Start seated in a v-sit position. With abs braced and shoulders back, pick up the Surge® and hold it in front of the chest. Keeping the back straight, slowly twist side to side, moving the Surge® from horizontal to vertical. Resist the pull of the water as it dumps from one side to the other. For added challenge, lift the feet off the ground to perform the move. Start in plank position with the Surge® under your chest and off to one side. Widen your feet and narrow your hands for stability. Reach under and across your body to grab the handle of the Surge®. Begin slowing pulling the Surge® all the way to the opposite side, keeping the water quiet. Continue pulling side to side, maintaining a braced core throughout the exercise. Start lying face up with the knees bent, holding the Surge® in a vertical position above one shoulder. Crunch up and simultaneously chop the Surge® across your body to the opposite hip. Focus on using the core to sit up and move the Surge® rather than your arms. Repeat all reps on one side before moving to the other. Begin standing with feet about hip width apart, holding the Surge® in front of your thighs. Rotate your torso, bringing the Surge® to one hip. Using power from your core, rotate and drive the Surge® across your body and over the opposite shoulder. Slowly return to the start position. Repeat all reps on one side before moving to the other. If you’re new to Surge® training, try completing just one or two rounds for your first few workouts, then add the third round when you’re ready to add more challenge. To see the full benefit of each of the 5 exercises, check out this video: Get The Surge®! About the Author: Alison Smith has a Master’s degree in Kinesiology and works with athletes, college students, kids, older adults and everything in between. In additional to working as a Hedstrom® Fitness National Master Trainer, Alison owns EnergyX Fitness in San Antonio, Texas. Come to a MANIA® near you to experience the Surge® and learn all the benefits it has to offer! New month, new goals. As every month comes to a close, you might view the start of a new month as a time to evaluate the progress you have made toward your 2017 goals. Whether your goals pertain to health, fitness, family, spirituality, career, finances or all of the above, 30 days serves as a good benchmark upon which to reflect, respond and maybe even regroup. Chances are you have considered abandoning your goals AT LEAST once in 30 days. Not to worry, that is actually a good thing. If you feel like quitting, it means you have chosen your goal wisely. It means that the steps you have taken so far on your path to success have challenged you or made you uncomfortable in some way. This proves that the steps you are taking toward your goal are outside of your comfort zone; which many consider to be the first step in reaching your goal. Maybe you’ve thought about quitting because you are not experiencing measurable results fast enough. No one likes to stand still. We are conditioned to receive instant gratification, however, achieving goals often means you have to form new habits and break old ones. This process isn’t swift or easy. If you are not where you thought you would be after 30 days, stay the course. Even though it might seem like you are standing still, commit to yourself that you will continue to take small steps toward your goal every day. It won’t be long before you can look back and see how far you’ve come. What if you feel you are even further away from your goal than when you started 30 days ago? Setbacks are inevitable. We live in the real world where the unexpected is expected. The path to your goal is not a fast-paced, straight-line freeway – it’s more like the yellow brick road. Even if you take a few steps backward, don’t let a temporary discouragement throw you permanently off track. Acknowledge the setback, reflect, regroup, and then move forward EMPOWERED with what you have learned. If none of this applies to you because you are happily on your way to achieving your goals – huge CONGRATULATIONS are in order! Seriously, it is important to hit pause long enough to enjoy your victories. Celebrating success will give you the motivation and the focus to stay on track. Regardless of the kinds of steps you are taking, it is important to remember that each one is significant. On the path to achieve your goals, every step matters. Most runners and people who train regularly have experienced moments of doubt and other mental roadblocks, which have led them to consider quitting altogether. Like everything else in life, such difficult choices tend to occur for one reason or another. The good thing about running and training is that it trains not only the body but your mind as well. In time, you and your mind will become stronger. Still, there is a big chance that you will face another mental hiccup along the way at some point or another. There are ways to overcome the mental barricades that can hinder your athletic performance. Make sure you always believe in yourself! You must be confident that you can achieve anything you want to achieve. Avoid beating yourself up and doubting your own abilities to achieve your goals. You need to trust your strength and abilities and actually encourage yourself, so that you can move forward toward your short-term and long-term running or training goals and results. Although your training or preparing for a race can seem really strenuous and tough – do not give up – you are stronger than this and will overcome it! Even though you may find the inspirational quotes people post on social media annoying and boring, having your own inspirational mantra can do wonders for your running or athletic performance. By repeating your mantra, you will get a boost of energy and the power to continue ahead. Choose a simple yet powerful mantra to tell yourself when you are facing particular difficulties during training or running, and you will immediately feel stronger and more determined. You even can print out your inspirational mantra on a T-shirt or a bracelet and have it with you at all times! 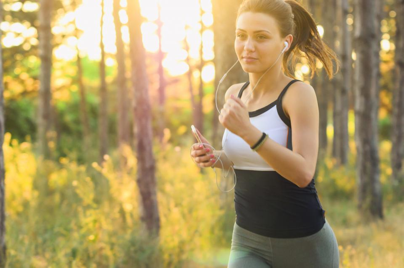 Create an mp3 playlist that inspires you to run faster and longer and train harder. Listen to music that boosts your performance and you will do better and jump over the mental hurdles we all meet along our way to success. Music will energize you, improve your performance and make training a much more enjoyable experience. There are plenty of affordable MP3 players ranging from small to medium and wireless to wired, so there is no reason not to use one. Of course, everybody is different and inspired by different types of music, so make sure you find the best music that has a positive effect on your mental state, determination and energy level and add it to your training or running playlist now! You will be surprised by the results on your overall well-being, presentation and mood. Figure out where you should direct your focus. Develop the ability to focus solely on your body, especially during training or a race when the discomfort becomes nearly unbearable. At moments of feeling stressed and fatigued, try to turn your mind inward and focus solely on your body and only your body. On the other hand, some people find that the opposite tactic works better for them when they are ready to give up. Putting your mind into something completely different to try and “switch off” the discomfort your body is feeling is another technique you should try to master. Both these skills can help you pass through the mental barriers, which we all face at some point in our training and racing. Try one or both methods next time you begin to doubt yourself during training! About the Author: Cara Haley is a fitness enthusiast and blogger who loves running and healthy food. She manages Fitaholic Gear and Comfort Hacks – websites dedicated to helping people find quality footwear to match their needs. 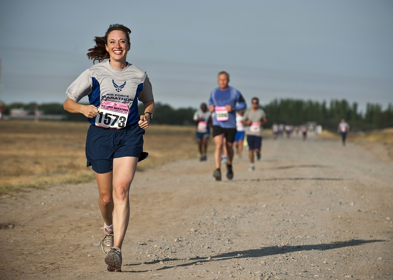 Run to a MANIA® near you and get the motivation you need to overcome your obstacles! The marvel of meditation is no mystery. A tremendous and developing collection of research demonstrates that meditating can diminish stress, reduce uneasiness and dejection, increment your ability to focus, and extend your sympathy for others, among other numerous advantages. We now realize that regular meditation can change the physical structure of the brain, so the more years you frequently meditate, the greater the potential advantages. Meditation is proclaimed by universal, profound and established researchers alike as irreproachably good for you. Now, realizing that meditation is beneficial for you one thing — taking a seat each day to do it is another. Consistency, however, is the way to understanding the training’s many advantages. Luckily, it’s less demanding than you might suspect to build up a consistent meditation practice and receive its many benefits. Learners should begin with short sessions and steadily increase the amount of time spent sitting. Here are some ways that can lead a beginner to master this art. Pick a Technique. On the off chance you’ve pondered how to meditate, you know there are an overwhelming number of styles and methods. Choices in the vitamin aisle at Whole Foods appear simple by comparison. Think about the different methods as tools or gateways to give you access to the meditative state. Which procedure you utilize is less essential than receiving the benefits of a calm mind. Beginners should find a practice or method that reliably places them into a meditative state. When this “core practice” is built up, you then can explore other meditation techniques and styles — dependably with the learning that you can come back to one that works for you if you begin to lose your direction. Build up a Habit. It’s useful for beginners to create conditions for a meditation practice that will remain basically constant — the same time, the same pillow, the same calm corner. Our brains and bodies have natural rhythms; they react emphatically to pondering in the meantime consistently and to visual and tangible signals like pillows, clothes and spaces committed to meditation. When you create conditions for your meditation practice, you’re setting up signals that tell your brain and body it’s an ideal opportunity to turn inward. You also are making it significantly more likely that you’ll take a seat. Discover the Joy. The last key to build up a meditation practice is to find delight in it. That you feel more joyful and calmer implies you are set for a decent begin, and you can anticipate that these little delights will snowball — over the sessions and days, months and years — into greater ones. You are shutting the habit loop. Meditation has turned into a verifiably remunerating piece of your life. Get a Good Seat. Appropriate posture is vital for meditation, yet you don’t need to sit in a classic yogic posture. 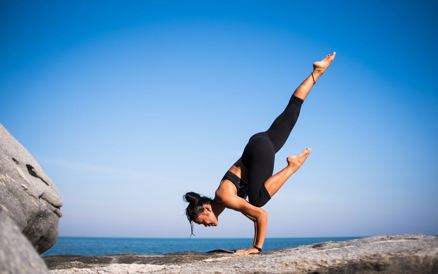 The main outright is that your back must be upright — straight, however not unbending — to enable the breath and vitality to stream unreservedly. Beyond that, steadiness and comfort are essential; you ought to be in a stable position that you can keep up easily for no less than 20 minutes. Here are two alternatives to kick you off. Once you’re seated, put your hands on your knees, palms up or down, with the thumb and index finger touching. This completes a fiery circuit that enables the vitality to extend and ascend in the body. Sit upright in a straight-upheld seat chair that has a flat seat, as opposed to one that tilts in reverse. (If you don’t have a flat seat, put a collapsed cover underneath your sitting bones to tilt your pelvis forward.) Place both feet flat on the floor, and if necessary, utilize pads or supports behind your lower back to hold your back upright. To leave the meditation, take a full breath in and tenderly let it out. Notice how your body feels, how your mind feels, the nature of your vitality. When you are prepared, take up your diary and compose what you recall about your recent meditation session. About the Author: Aman is a Failed Chef turned Adventurer, Writer and Entrepreneur. Has a surly unemployable face. My favorite thing in the world, aside from writing, of course, is traveling, loving Dogs and mountains. You can follow my craziness on Linkedin, Instagram or Twitter. I always looking for new recipes to keep our taste buds interested and to stay out of a food rut. I often decide at the last minute what I’m going to “throw” into the dish — usually whatever is left in the fridge — and sometimes it turns out so delicious that I end up making it again and again. I initially made this dish to go with sautéed flounder, and it was amazing! I scooped the rice mixture out of the skillet and cooked the fish in the same pan — so the clean-up was fast and easy. I think it would go great with poultry, shrimp or other types of grilled meats. You can change up the ingredients and make this dish many different ways. Cook the rice according to the directions on the package. While the rice is boiling, sauté the shallot in the olive oil until brown. Add the sun-dried tomatoes and some white wine. Keep adding a little wine while cooking this mixture until the sun-dried tomatoes get soft. I like to keep adding it slowly as the sun-dried tomatoes soak up the wine and the “broth” gets thicker. Add the asparagus and repeat the process, but be sure NOT to overcook the asparagus. When the rice is finished cooking, add it to the skillet with the asparagus and sun-dried tomatoes mixture. Add feta cheese and stir well. Serve the fish (or other protein) next to it or on top of it. Finish the dish with a sprinkling of fresh mint. It’s the perfect side dish … try it, and I hope you’ll agree! Stay Well, Eat Well, & Smile Often! About the Author: Molly Napolitano has over 23 years of experience in developing medically-based fitness and rehabilitation programs. She earned her Master’s Degree in Exercise & Sports Science at the University of Florida and went on to specialize in exercise prescription for the elderly. For a number of years, Molly developed and directed physical therapy centers in Florida. She has presented at health and fitness conferences both nationally and internationally and is currently the President of Black Dog Partners, LLC. She lives in the San Francisco Bay Area with her husband and her dog Jessie. Molly loves teaching women how easy it is to get fit, improve their health, and unleash their true inner confidence. She is the founder of Molly’s Just You, Only Better 30 Day Program which helps women look and feel great on the inside and out. She also hosts free self-esteem workshops for young girls and their mentors through the Dove Campaign for Real Beauty.